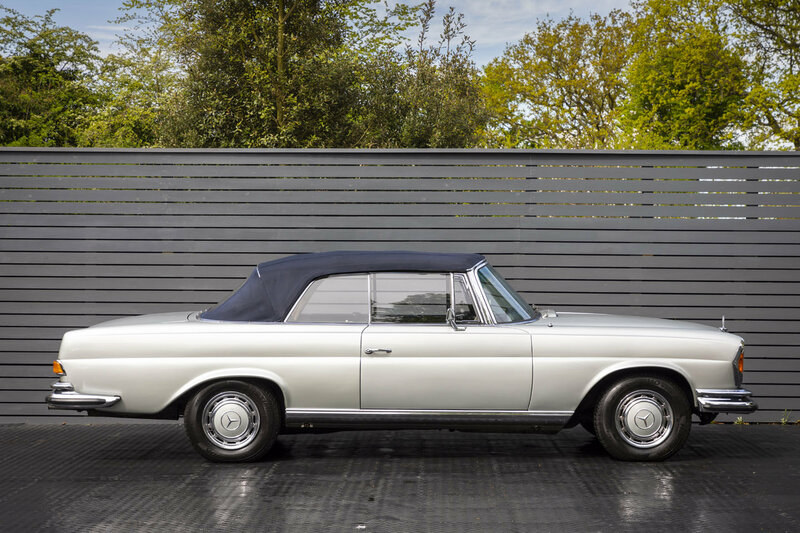 Examples of this superb handmade model were built to extremely high standards and competed head on with Rolls-Royce & Bentley Corniche Convertibles as the ultimate soft top 4 seater motorcar. 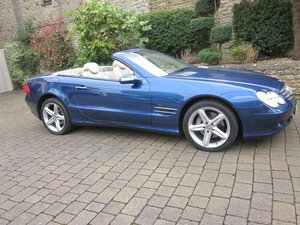 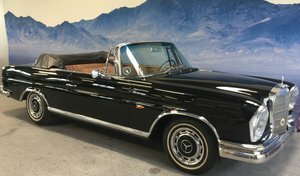 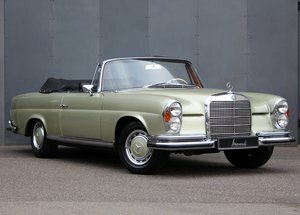 An enthusiast looking for a full 4-seater classic cabriolet would have a hard time finding a nicer collectible Mercedes Benz cabriolet than this car; so thoroughly modern and easy to use with its snug-fitting six-layer convertible top, excellent sound-deadening and quiet V8 engine and power steering. 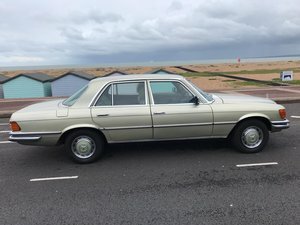 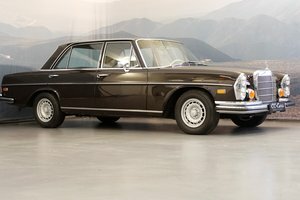 The 280SE 3.5 can cruise at today’s elevated speeds, delivering four people in better comfort than many new cars can do today. 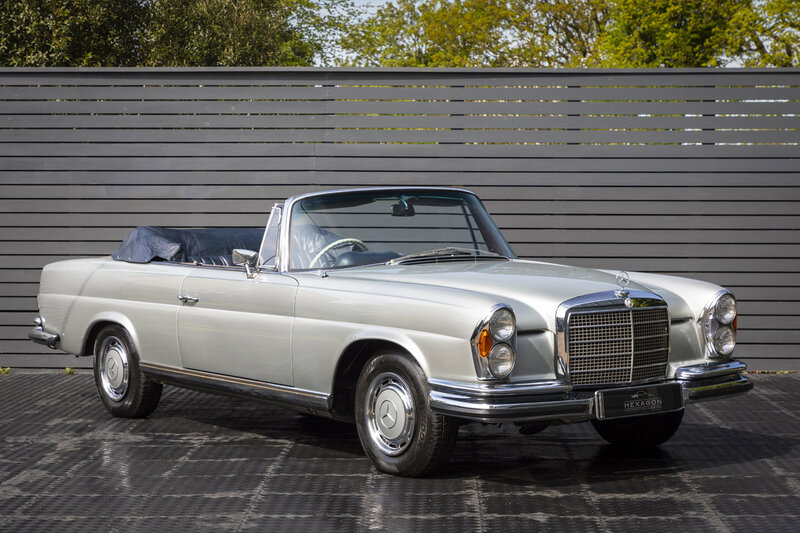 Our ultra-rare right hand drive cabriolet benefits from the highly desirable option of floor mounted 4-speed automatic gearbox, power windows and top tinted window screen. 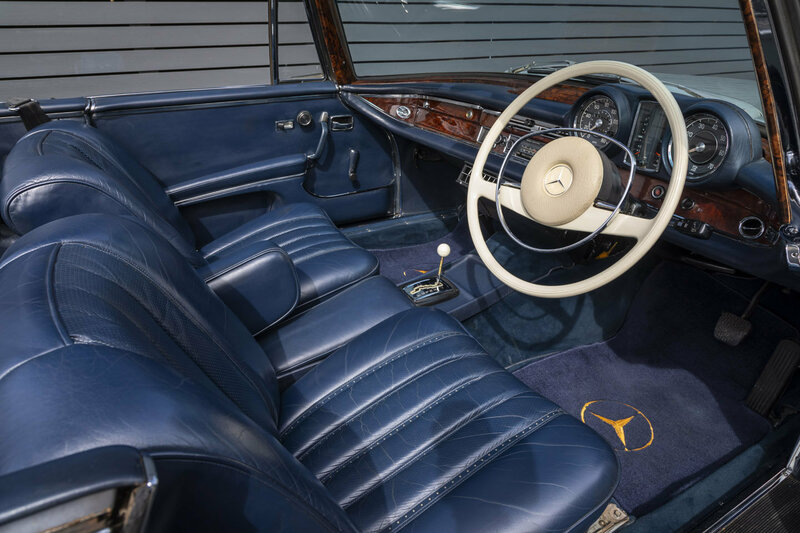 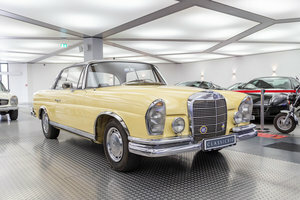 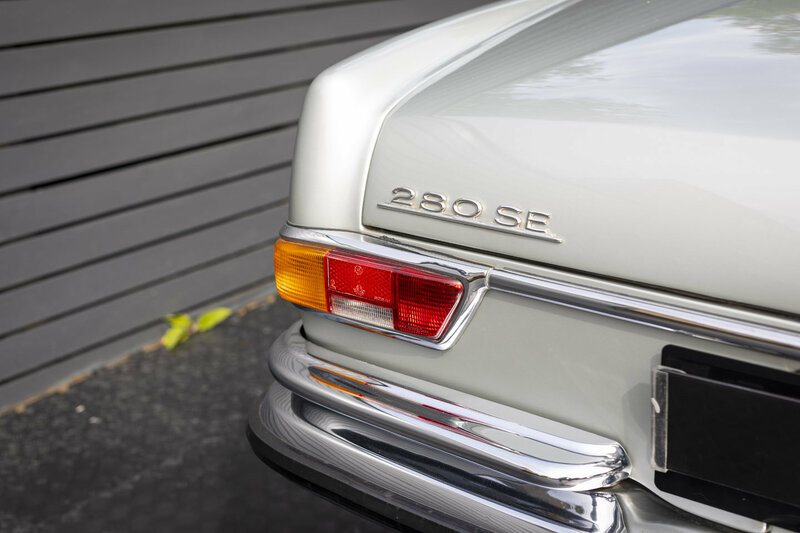 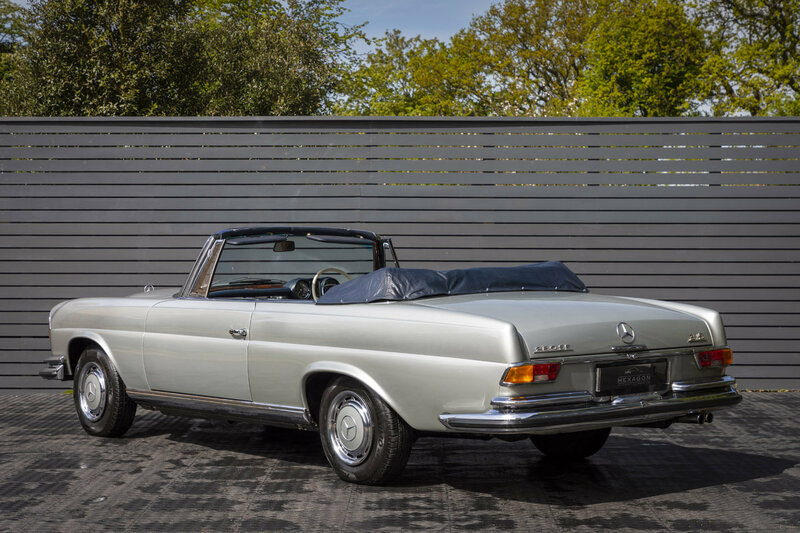 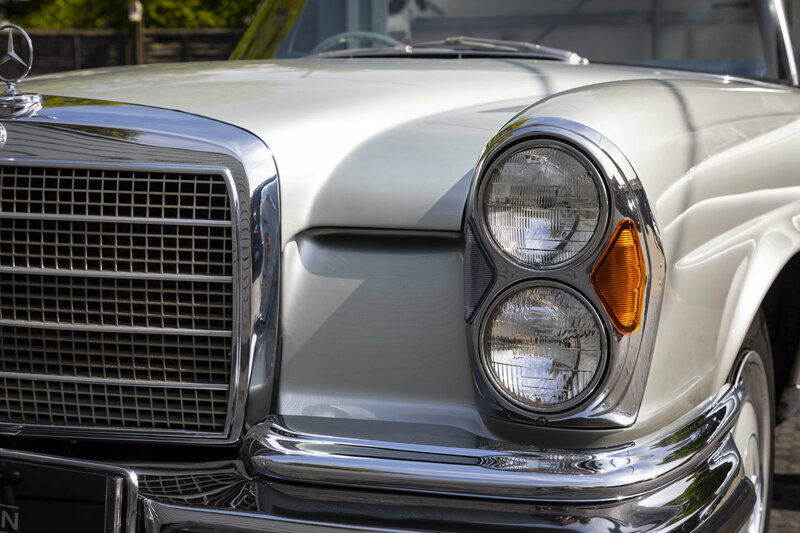 We believe this right hand drive 280SE 3.5 Cabriolet which is only one of sixty eight cars ever built is the very best example available for sale anywhere in the world today!